Our team of removalists in Parramatta can help you move home whether you are staying local, going to a new area of Sydney or even changing city or state! Moving house or office is a logistically difficult task. It can often be stressful to try and pack, move and unpack all of your belongings by yourself, especially while balancing work and other commitments. It can become even more difficult when you are moving away from somewhere you feel connected to. It is no wonder then that many people feel overwhelmed by the prospect of moving. That is why you should contact Ready2Go Movers. 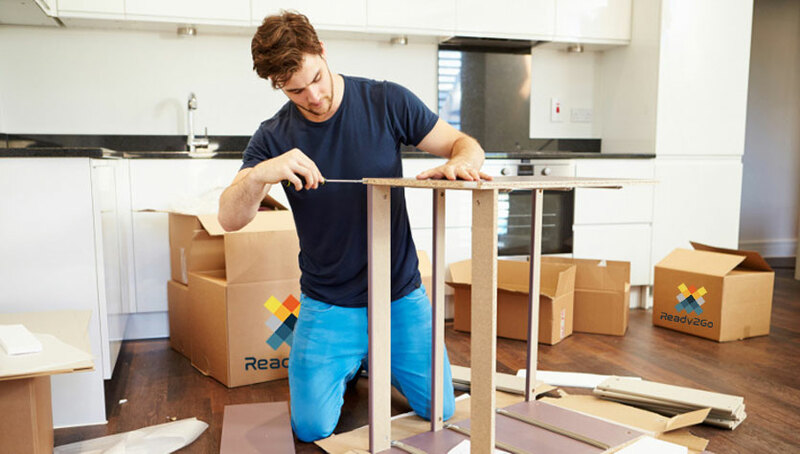 Here at Ready2Go Movers our removalists in Parramatta will pack, transport and unpack all of your belongings, meaning you can relax knowing everything has been taken care of. Our services include residential and commercial relocations, interstate moving and furniture assembly. If you are in need of a removalist in Parramatta, contact us for a free quote. We aim to make the moving process easy and stress free. Let’s take a look at how you can be moved into your new home with a few simple steps. Our moving teams are all certified and trained so that they meet required movers codes and adhere to necessary safety requirements. This guarantees the safety of you, your home and your belongings. Ready2Go removalists in Parramatta are all highly experienced professionals. Each team carries with it decades of combined experience and expertise in packing and moving fragile items both big and small. This means that you can sit back while we work with the peace of mind that all your belongings are being looking after by the best in the business. Each team that is assigned to a job is built with the specific task in mind. You can rest assured that when our crew arrive at your home they have been selected with your needs and belongings specifically in mind. We are always introducing new and valuable offers for customers to get the best deals. These deals are constantly changing, so if you want to take advantage of these offers, get into contact with us. Our removalists in Parramatta will provide you with updates on the progress of your relocation. We send SMS’s to customers about important times and progress points in the move. This means that you can relax and have peace of mind that your move is safe, on track and on time. We aim to deliver the best service possible. You and your belongings are our highest priority. At Ready2Move our removalists in Parramatta value trust and customer service. We understand that handing all your possessions over to a team of strangers can be daunting. That is why we are committed to open communication and trust with our customers, to give you the peace of mind and confidence that your possessions are in safe hands. Our services make the moving process easy for you. Sit back and let us take care of the difficult and tiring logistics, we will contact you with our progress so you are constantly up to date. Once we are done, all you have to do is move in and enjoy your new home. Do you need a removalist in Parramatta that values you and your belongings? If so, contact us for your FREE quote and let us take care of the tricky stuff.